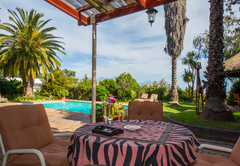 Villa Vista is a 4 star graded B&B with self catering option, offering Somerset West accommodation for tourists and visitors of Cape Town. 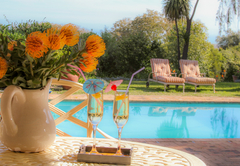 Villa Vista is an ideal breakaway for those that love style, comfort, tranquillity, wine and golf. 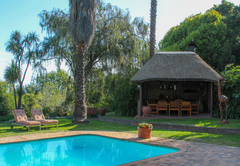 The reason to come to Villa Vista is to enjoy stunning views from a magnificent garden filled with bird song, to escape the midday heat while sitting under a lapa and enjoy a swim in a large pool. 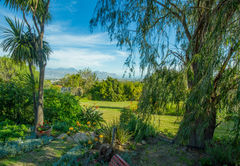 Situated in the heart of Somerset West, a delightful village on the foot of the Helderberg Mountains, in a quiet, safe and upmarket neighbourhood close to the winelands, False Bay’s best beaches and the finest golf courses, you will find Villa Vista. 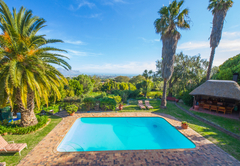 While you are far from the madding crowd you are also in the midst of all the happenings - wine route, main attractions, golf courses, whale watching, restaurants, beaches and easy access to all the main routes. 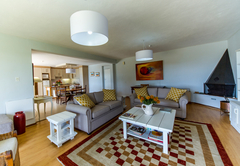 This is a holiday destination which is family friendly and comprises of two tastefully furnished self catering / B&B apartments with beautiful sea views from the bedrooms, while guests also have peace of mind with secure parking, behind security gates and private entrances to their apartments. 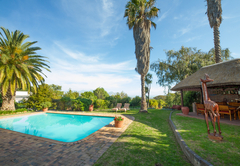 The surroundings are tranquil and privacy is enjoyed in a large garden around a swimming pool on the doorstep of both units. 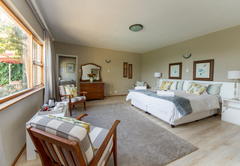 The Somerset Mall provides the finest shopping and golf enthusiasts can choose from 5 first class golf courses, the famous Erinvale being only 5 minutes away. 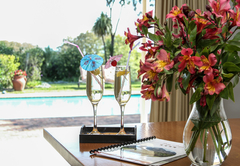 Jake and Elise Niehaus take pride in personally attending to their guests needs. 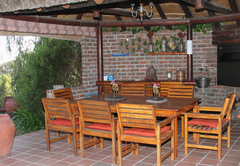 They will gladly share information and advice on attractions. 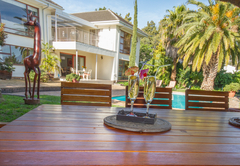 Wine walks, wine tasting and historical walks through Stellenbosch can be arranged. 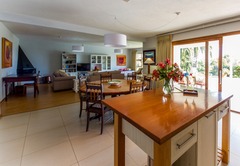 Villa Vista was the perfect accommodation choice for our trip to Somerset West. 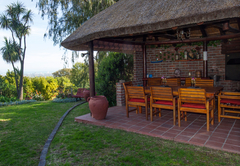 It is in a peaceful and stunning location set high in the suburbs overlooking the Strand with sea views in the distance. 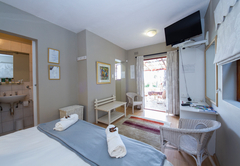 With a hire car at our disposal we were only 2 minutes from the shops and 5 minutes from Somerset West town and had excellent secure parking at the apartment. 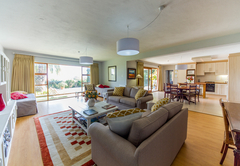 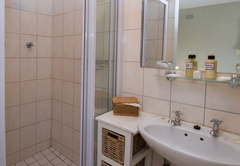 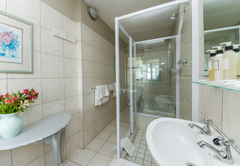 We stayed in the larger of the 2 apartments which is vast and fully equipped for self catering. 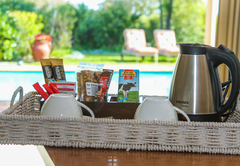 Elise and Jake were in the background but available at a moment's notice by phone call no matter where you were and were ably supported by Betty (room servicing) and Jessie's (border collie) regular visits. 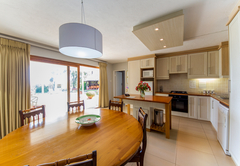 We will be returning to Villa Vista on all future visits to Somerset West and have no hesitation in recommending this jewel in the suburbs.